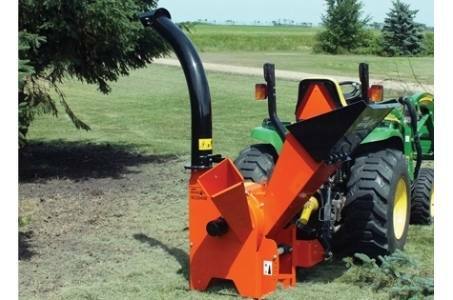 Get the job done and into the truck quickly and easily with the SC5540B! 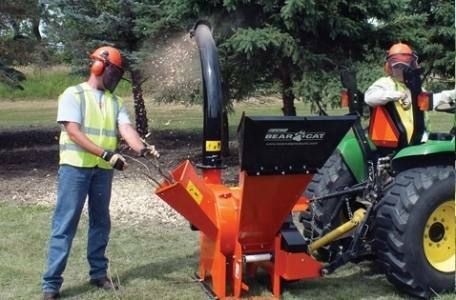 Heavy-duty construction, the SC5540B PTO 3 point hitch chipper/shredder weighs 720 pounds, this means years of dependable service. The double-banded belt drive gives a more positive transfer of power. 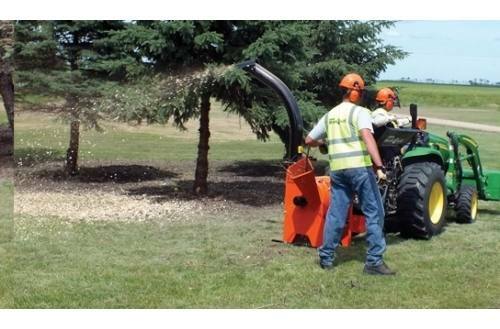 A great machine to move from job to job, the SC5540B is the machine landscapers and golf courses trust to clean up, move debris and make mulch. 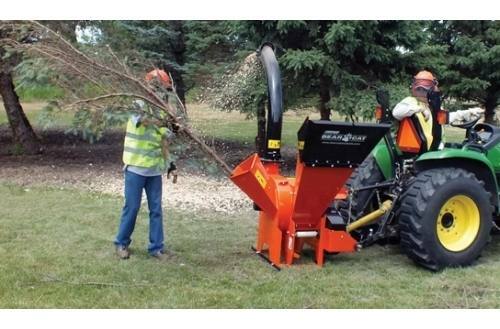 A manual-feed chipper/shredder without a screen reduces plugging, especially with damp material. 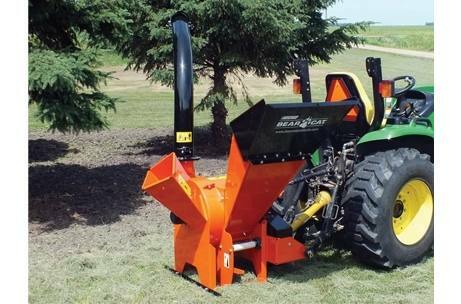 The 18 x .75 inch thick, 145-pound dynamically-balanced rotor is equipped with 4 reversible chipper blades and 36 shredder knives.